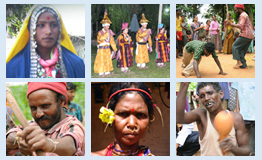 The Bondo (also known as the Bondo, Bondo Poraja, Bhonda, Bonda or Remo) are one of the Primitive Tribal Groups of India. There are 30 Remo/Bondo villages which fall under the four Gram Panchayats (G.P.) namely: (i) Mundulipada, (ii) Andrahal, (iii) Rasbeda and (iv) Badadural which are in the Khairput block of Malkangiri district of Southwestern Odisha, India, near the junction of the three states of Odisha, Chhattisgarh, and Andhra Pradesh. As per 2011 census their population is 12,231 (Male 5669 and Female 6562). There are two different Remo/Bondo tribes: the Hill and Plain Bondos. Bondo language belongs to the Munda branch of the Austro-Asiatic language family. It is most closely related to the Gutob-Gadaba language. The Bondo language is now an endangered tongue as more Bondos have shifted to Odia or Desiya Odia as their primary language of communication. The Remo/Bondo religious system represents a homogenous blending of indigenous beliefs that resembles and follows Hinduism. Bondos retain belief in a supreme being (Mahaprabhu) who is identified with the sun, under whom is arranged a hierarchy of demigods. The siɳɖibor ‘an elevated stone platform’ is the sacred site to perform any rituals and the hunted animals are first brought to the siɳɖibor. Women are not allowed to sit on the siɳɖibor. Each village has a specific place near the foothills where they go and worship. They usually sacrifice a goat, hen, pig etc. The sisa ‘priest’ conducts the rituals whereas, disari ‘sorcerer’ usually conducts rituals related to invoking spirits and curing the sick and possessed. They still practice the barter system, exchanging the produce of their fields for articles of daily use. In Remo/Bondo society, the women enjoy a privileged position. They are the primary workers and providers of food for the community. This matriarchal dominance is also seen in the marital norms of the community. Remo/Bondo girls largely marry boys who are at least five to ten years younger than them. Thus the girl looks after her husband as he grows up and in turn he cares for his elderly wife. 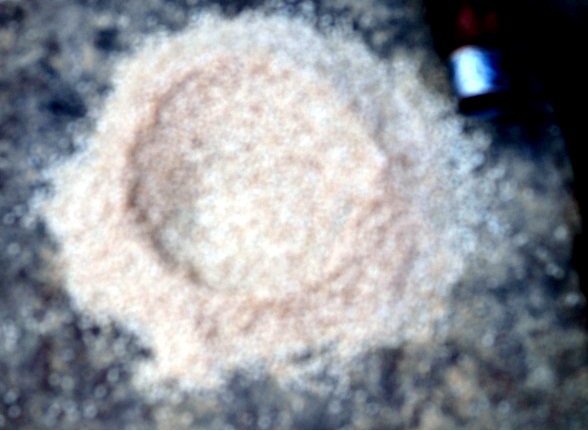 Bondo language has two main dialects, the hill Bondo and plain Bondo. We have also noticed that there are regional dialect variations within the hill Bondo which needs further investigation.